Situated in Western Asia on the East coast of Jordan river, Jordan is sharing its borders with Saudi Arabia, Iraq, Syria, Israel. 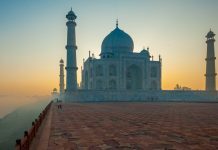 Due to its location, it has been surrounded by political unrest and chaos throughout history. 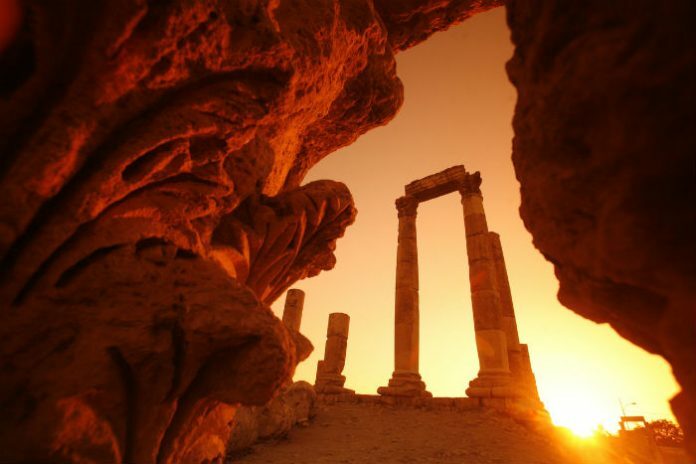 However, Jordan remains a safe haven for its visitors and welcomes them with hospitality. A nation rich with history and culture offers you a chance to visit ancient cities, admire magnificent granite cliffs, see secluded deserts and even swim in the Dead Sea. 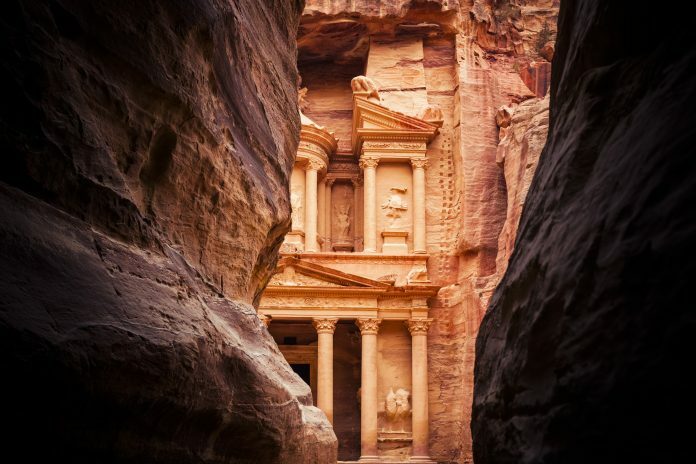 Here are the top things to do in Jordan. Are you ready? 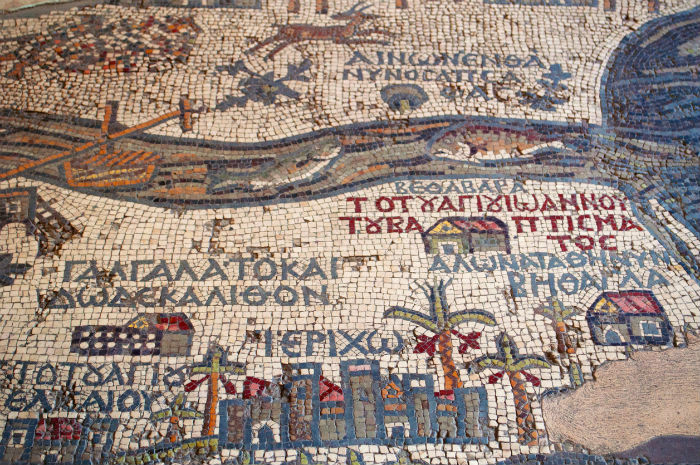 Known as the “City of Mosaics”, Madaba is a small ancient town in central Jordan. A town with a long history, Madaba is known for the famous 6th century Mosaic Map of Jerusalem, religious structures and its ancient art. The ancient map, found on the floor of St George’s Church depicts the detailed map of the Middle East with its two million pieces of vividly coloured local stones. The capital city of Jordan uniquely blends the old and the new. 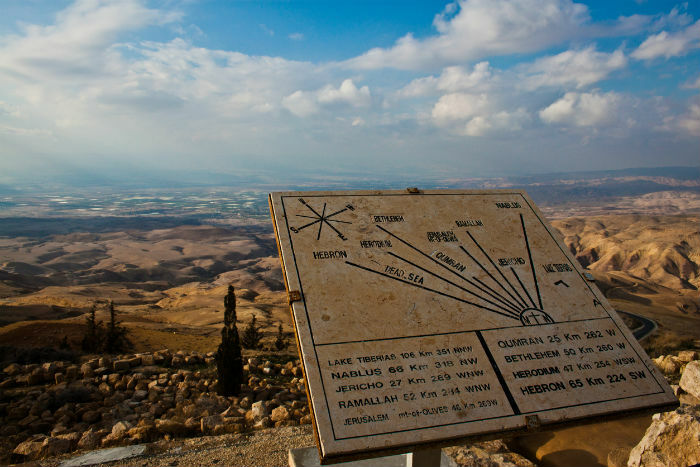 Located on a hilly area between the desert and the fertile Jordan Valley, it is truly a city of contrasts wherein towering skyscrapers dominate the skyline, whilst the traditional mosques and markets can be found in the historic old town. Places to visit: The Citadel, the King Abdullah Mosque, the Hand of Hercules, the Duke’s Diwan, and the Jordan Museum. 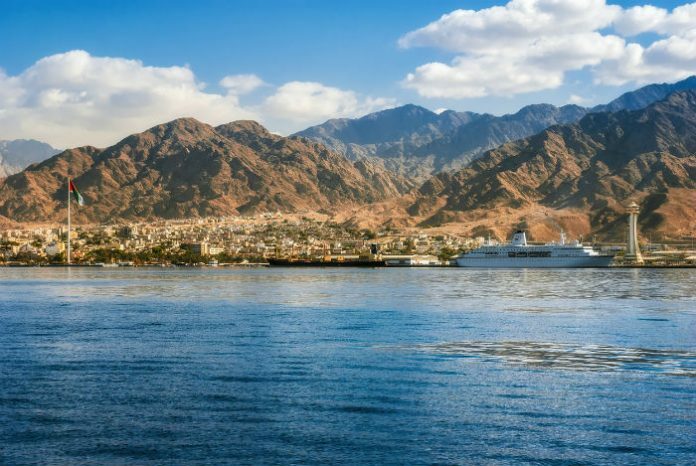 Also known as the Window to the Red Sea, Aqaba is Jordan’s only coastal city. Located on the northeastern tip of the Red Sea, it’s surrounded by deserts and mountains. Known for its diving and snorkelling, it gives you a chance to experience the underwater adventure with the pristine coral reefs that lie on the coast just south of the town. Situated in south-central Jordan, Dana Biosphere Reserve was founded in 1989 in the area in and around the Dana village and Wadi Dana. 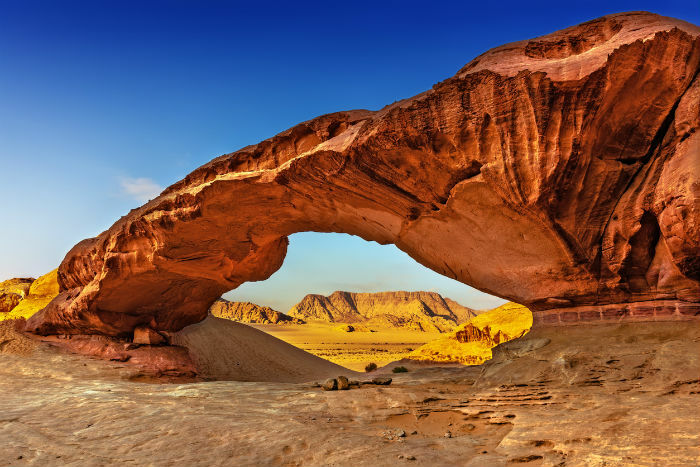 This largest bio-reserve in Jordan cuts through the Rift Valley leading all the way to the heart of Africa and encompasses the four different bio-geographical zones of the country (Mediterranean, Irano-Turanian, Saharo-Arabian and Sudanian). Hike through the reserve and one can even take you from the village of Dana (15th century stone village) to the Feynan Ecolodge. One of the Seven Wonders of the World is the ancient city of Petra which is also known as the Rose City, is a historical and archaeological city in southern Jordan. This ancient city used to be the capital of the Nabataean Kingdom before becoming part of the Roman Empire. This city lives up to the hype with its honeycomb of hand-hewn caves, temples, and tombs carved from blushing pink sandstone. Don’t forget to experience Petra during the night when the ancient ruins of the rose-red city are illuminated by candlelight. Places to visit: Treasury, El Deir and the Great Temple. 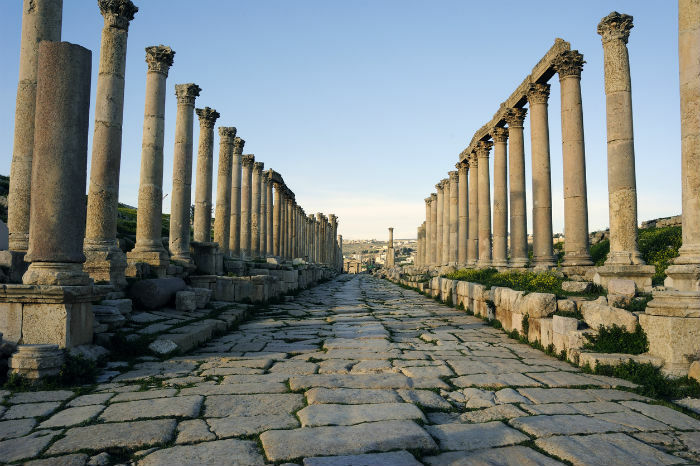 Situated in the north of the capital Amman, Jerash is one of the best-preserved Roman ruins in the world! This ancient city lets you experience the ancient Roman architecture of that boasts 6500 years of human occupation and was an important city on Rome’s ancient trade route. Places to Visit: Temple of Apollo, Hadrian’s Arch, the Forum, and Roman Amphitheatre. Experience the breathtaking desert landscape of Wadi Rum which is full of golden dunes, rock formations, and small dessert camps. Situated in Southern Jordan, Wadi Rum has no permanent settlements, but only Bedouins and nomadic tribes that occasionally pass through. Experience “vast, echoing and God-like” scenery described by T.E. 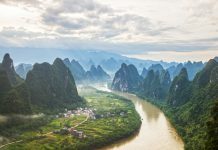 Lawrence through sandstone mountains, narrow gorges, towering granite cliffs and natural stone arches. C’mon! What trip to Jordan will be complete without a floating session in the Dead Sea (cannot say DIP, for obvious reasons)? This salt lake lies in the Jordan Rift Valley, and its surface and shores are 430.5 metres below sea level (Earth’s lowest elevation on land). Now, due to the high salt content in the Dead Sea, it is possible to float freely without having to tread water. Not only that, you can slather yourself with the famous Dead Sea mud, which is known to have restorative properties and manages to do wonders for the skin. Approximately 710 m above sea level, Mt. Nebo is an elevated ridge in Jordan. Go for a spiritual journey with Mt Nebo; as this is where Moses is said to have seen the Promised Land before he died. 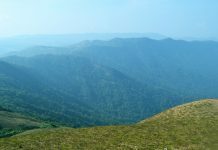 At the top of the ridge, one gets to see panoramic views of the surrounding landscape. You can also see an active monastery and Byzantine church that are a popular stop for pilgrimages. 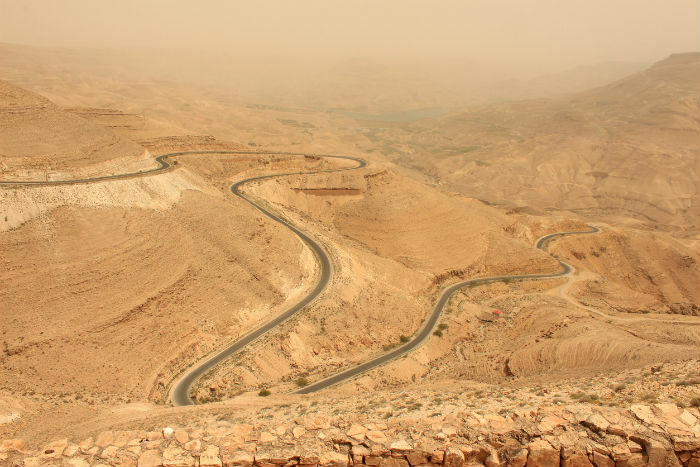 This 280km stretch of ancient road is one of the Middle East’s most scenic drives. One of the main routes through the centre of Jordan, The King’s Highway, has been used for hundreds of years to facilitate trade. The winding roads pass through immense rocky canyons; crosses over man-made lakes and dams; ducks and dives across the spine of the Great Rift Valley; and snakes through this mountainous region of the country. Fall in love with the stunning scenery, historical sites, and many things to do in Jordan; and do let us know about your experience in the comments below!